Construction companies are faced with lots of expenses during jobs, plus the normal costs of running a company. One of these expenses is equipment. Construction equipment can be very expensive, and owning it often seems impossible. However, owning your own construction equipment is not always the best choice. Here are eight reasons why renting your equipment is better than owning it. Buying and owning a piece of construction equipment usually requires a large down payment and then expensive monthly payments until the entire amount is paid in full. Sometimes monthly payments also come with interest. If you choose to rent your equipment instead of buying it, you are choosing to pay for the equipment only for the amount of time that you’re using it. This tends to be a much cheaper option for construction companies and saves them money that they can put towards other important things. If you choose to purchase and own a piece of equipment, chances are that there will be a newer model within a few years and your equipment will get outdated and lose value. Most rental companies offer the newest models of all equipment, so choosing to rent equipment allows you to work with the newest models you need instead of working with an older machine that you purchased. If you own a machine that starts having problems or breaks down, it is your responsibility to get it fixed, and usually that involves hiring someone to come out and fix it for you. 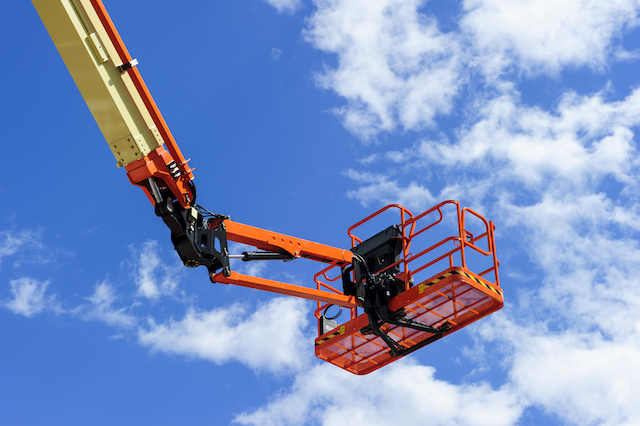 Most rental companies include maintenance and insurance in one cost, so if you choose to rent equipment and it acts up or breaks down, the rental company will usually either send someone out to fix it for you or get you a whole new piece of equipment. You then save the money that you would have spent on fixing it yourself. When people purchase their own equipment, they often don’t want to rent any extra equipment because the initial price of the purchase is so high. But sometimes the purchased equipment doesn’t do everything that a construction company needs. With renting, you are able to rent the exact type of equipment that you need and don’t have to just make do with your purchased equipment. You can rent equipment as specific as you’d like and get your job done quickly and more efficiently. One thing to remember about construction equipment is that it is very big and requires a lot of storage space. If you purchase and own a piece of equipment, you are responsible for storing it yourself. This often means paying a monthly fee for a large storage space, and that can get pricey. When you rent equipment, the rental company stores the equipment themselves and you don’t have to worry about it. If there is a specific piece of equipment that you use very often, purchasing and owning it for yourself may be something worth looking into. However, renting this piece of equipment before buying it is a great way to know whether or not it will work for you. You can rent different models and brands until you find the perfect piece of equipment. And then, you can even just keep renting it to save yourself money! If you purchase equipment with the intention of selling it later on, it will likely lose value over time. Depending on how much it has decreased in value, you could end up losing a ton of money! Renting your equipment saves you from losing whatever value is lost in the amount of time that you keep your equipment. You only pay for the equipment for the time that you have it, and there’s no risk of losing any money. Construction equipment has to be kept up to code and used in the right way. There are federal and local regulations that must be followed in order to not be fined or penalized in some way. If you own your equipment, you are in charge of making sure that your equipment is used and maintained properly and that it complies with the law. This may involve hiring an expert in this area or training one of your own staff members to know everything about compliance so that you are always obeying the law. Rental companies have their own experts on compliance, which means that everything you rent complies with the law. You can spend your efforts on your current projects rather than trying to understand compliance laws. If you are in construction and are wondering if it would be better for you to rent or own your equipment, think about these eight factors. If you are looking to save money, time, or hassle, then think about renting your equipment!